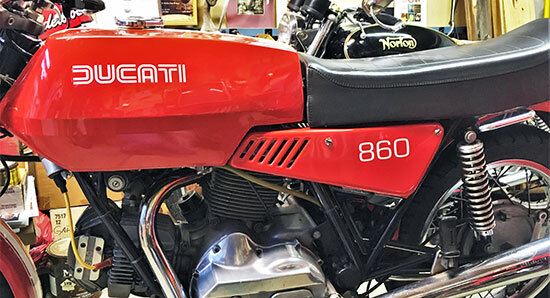 Vinyl Lettering Use: I used the lettering to replace the engine size emblem on the side cover of my 1975 Ducati 860GT motorcycle. I prefer the simple look of the vinyl lettering to the original chrome/plastic emblem. I have attached three pictures. The white &quot;860&quot; on the motorcycle side cover is the lettering that was ordered.